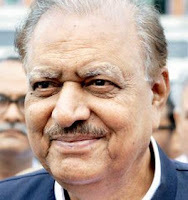 There is a new president of Pakistan and consequently, it is fitting to feature a list with all Pakistan's presidents. The list was feature worthy for Wikipedia, so I had a look at the presidents at Wikidata. the new President was not marked as a "person" or "male"
Maybe the Presidents of Pakistan can become an featured effort for Wikidata when more people give it some tender loving care.